Europe-China relations are heading towards challenging times. The changing context in China, combining a domestic economic slowdown with increased assertiveness abroad, will make Europe’s relations with China more volatile and vulnerable than during the past decades of stability. At the same time, Europe’s troubles at home will presumably make it even more difficult to find a joint and strategically coherent approach towards China in the years to come. One area of Europe-China relations that currently experiences fundamental changes are Chinese direct investments directed towards Europe. The overall increase in China’s outbound investments worldwide includes an intensifying surge of Chinese FDI in Europe with the potential to alter some of the central dynamics of Europe-China relations. Investments in the energy sector represent a particularly sensitive and therefore instructive field. A significant part of China’s foreign direct investments has been channelled into energy infrastructure projects around the world. Europe is no exception: Between 2000-2014, the energy sector received 28% of the Chinese direct investments in the EU-28, making it the primary sector for Chinese FDI by a fair margin (T. Hanemann/M. Huotari, Chinese FDI in Europe and Germany, 2015). China’s energy sector investments in Europe raise a number of crucial questions, exemplifying some of the major themes of Europe-China relations as a whole. Beyond concerns about investment imbalances and the “level playing field”, investments in strategic infrastructure also highlight the security dimensions of Chinese investments in Europe. At the same time, Chinese considerable investments in renewable energy technology in Europe link back to environmental cooperation and climate change as one of the central dimensions of EU-China relations. Exploring the future of EU-China relations on energy in general and the implications of China’s energy investments in Europe in particular therefore opens new perspectives on some of the most central aspects of EU-China relations. Looking at political, economic, social and security implications, especially related to energy relations and energy investments, the working group explores three interrelated topical clusters, Energy – Investment – Environment, and explores how they shape the relations between Europe and China. 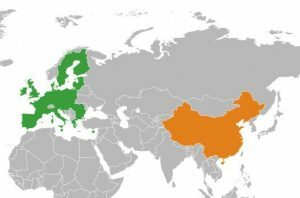 In doing so, the working group includes both, the bilateral relations between Europe and China as well as relations with third countries, where Chinese and European interests interact. Therein, the working group will look at areas of competition and potential tensions as well as opportunities for fruitful cooperation. How will and should EU-China relations develop within the changing context of China’s domestic economic situation as well as China’s new approach to foreign policy and its changing role on the global stage? Will the EU be able to uphold its role and approaches vis-à-vis third countries or will China’s intensifying international engagement challenge the EU’s position and influence on the global stage, economically as well as politically? Will the EU be able to develop a more coherent approach towards China, balancing the interests of its member states within a more strategic and coordinated framework – or will the fragmentation of China policies within Europe intensify with each country trying to seize its own opportunities from bilateral cooperation with China? Through academic and non-academic publications as well as events in forms of expert workshops and large public panel discussions, the working group generates output for academic debates, practitioners and the interested public. Genia Kostka is the co-chair of the Dahrendorf working group ‘Europe-China Relations’. She was Professor of Governance of Energy and Infrastructure at the Hertie School of Governance. Her research and teaching interests are in energy governance, public policy and political economy, with a regional focus on China. Before coming to the Hertie School of Governance, she was an Assistant Professor at the Frankfurt School of Finance and Management and, prior to that, a strategic management consultant for McKinsey & Company in Berlin. Björn Conrad is the co-chair of the Dahrendorf working group ‘Europe-China Relations’. He is also Associate Vice President for Research at the Mercator Institute for China Studies (MERICS) and the director of the Research Area on Innovation, Environment and Economy. Before joining MERICS Björn was a Climate Change and Environmental Officer for the Food and Agriculture Organisation of the United Nations (FAO), worked for the Global Environment Facility at the World Bank in Washington, DC and was also appointed member of the expert committee for formulating a China Strategy for the Federal Ministry of Education and Research (BMBF). Wiebke Rabe is a PhD candidate at the Hertie School of Governance and conducts research on Chinese Investments in Europe’s Energy Sector. She has been Research Associate to the Dahrendorf Forum and was responsible for the working group on ‘Europe-China Relations’. Prior to joining the Hertie School, Wiebke gained professional experience with the Mercator Institute for China Studies (MERICS) and with the Austrian Embassy in Beijing. She graduated from Utrecht University with distinction (MA International Relations) and obtained a BA in European Studies from the University of Bremen. Wiebke also studied Chinese language at Peking University and Russian language at Saint Petersburg State University. She conducted field research in northwest China and held a scholarship from the German National Academic Foundation. Her advisor is Prof. Genia Kostka. Olivia Gippner is a Dahrendorf Postdoctoral Fellow on EU-China Relations at LSE IDEAS. She holds a PhD in political science from Freie Universität Berlin and the Berlin Graduate School of Transnational Studies for which she researched EU-China climate relations and Chinese policy-making. During her Master in Public Policy at the Lee Kuan Yew School of Public Policy in Singapore she focused her studies on the role of energy policy in development. She received her Bachelor in European Studies from the University of Malta. From 2011-2014 she worked as a research fellow at the NFG-Research Group on “Asian Perceptions of the EU” in Berlin, analysing Chinese participation in peacekeeping missions and EU-China security relations. Dr. Diarmuid Torney is a Lecturer in International Relations. He holds an MPhil and DPhil in International Relations from the University of Oxford, as well as BA and MA degrees from University College Dublin. His research focuses on the global politics of climate change and energy, particularly in the European Union, China, India, and the United States. His forthcoming book, European Climate Leadership in Question: Policies toward China and India, will be published in 2015. Dr Yu Jie (Cherry) is the LSE IDEAS programme coordinator for the East Asia International Affairs Programme. She gained her doctorate at the International Relations Department, LSE. Her thesis titles as “Partnership or Partnerships: An Examination on China-EU relations by using China-EU collaboration on climate change and clean energy technology as a case study”. She also gives frequent comments on China’s foreign policy as well as China’s direct investments in Europe in both Chinese and English major media outlets. Prior to LSE IDEAS, she worked at the London Office of Roland Berger Strategy Consultants, GmbH. She worked extensively with leading European conglomerates that either want to set up joint ventures in China or improve the performance of their existing Chinese business units as well as with Chinese State Owned Enterprises. She also teaches both undergraduate and postgraduate courses at LSE. She obtained her MSc in International Relations from the LSE and her BA (Hons) in Politics and International Studies at University of Warwick. Alanna Krolikowski is Acting Chair Professor of Modern Chinese Society and Economy at the University of Göttingen. She was previously a postdoctoral Princeton-Harvard China and the World Fellow at Harvard University. Dr. Krolikowski conducts research on large-scale infrastructural and technology programs. She is revising a book manuscript on China-U.S. trade and technology programs in aerospace. Dr. Krolikowski has shared the results of her research in articles, book chapters, and testimony for the U.S. Congressional record. She obtained her PhD in political science from the University of Toronto as a Joseph A. Bombardier Canada Graduate Scholar. Kyoung is currently an associate professor in the School of Political Science and Public Administration at Wuhan University. He is an area specialist focused on China, and broadly trained in political economy and comparative politics. Kyoung’s work mainly concerns with China’s energy and environmental politics and governance. In the past few years, he has carried out several research projects on energy and environmental issues in China through intensive on-site fieldwork, including regulation of power plants, rise of renewable energy industries, low-carbon city development, local environmental management, energy service companies, and the role of civil society and expert communities in local environmental governance. Kyoung’s academic training includes economics, urban planning, international and area studies, and political science at the Massachusetts Institute of Technology (M.I.T.) and University of California at Berkeley. Xuehua Zhang is Professor of Environmental Policy at the Institute of New Energy and Low Carbon Technology of Sichuan University. Her area of research interests is environmental policy-making, enforcement and compliance, coordinated pollution control, low carbon rural development, public participation and environmental legal institutions. She received her PhD from Emmet Interdisciplinary Program in Environment and Resources at Stanford University with a focus on political science, environmental law, and institutions. Before that, she was a policy analyst at Resources for the Future, a prominent environmental economics think-tank in Washington DC. She has contributed to the international policy community and its understanding about the actual functions and operations of China’s environmental regulatory system, mostly through providing consulting services to governments and international organizations such as World Bank, UNEP, Energy Foundation, US Environmental Protection Agency, Natural Resources Defense Council, Environmental Defense Council, Ministry of Environmental Protection of China, and Climate Policy Initiative in San Francisco.